Tree trimming and pruning is done to uphold the shape and size of your trees’ crown. The crown of the tree sits at the top where the branches and leaves form a top or bulb. When the branches inside the crown are not regularly trimmed or pruned, they can outgrow their allocated space, resulting in the tree looking messy, along with ground debris, crown patches, and much more. You will want to have your trees trimmed or pruned in between the seasons to ensure that they’re ready for temperatures changes and new growth. For trees that appear stumpy or shorter due to a larger crown, crown lifting can alter this appearance and heighten the tree’s crown higher off the ground. Crown lifting helps provide clearance for walkways, driveways, infrastructure, and much more. By removing smaller or less dominant branches around the lower base of the tree, we can maintain the healthier and stronger branches at the top and lift the crown from the ground. The crown should be lifted too high, however, as this can cause too much weight to be centered on the trunk or affect the strength of other remaining branches. Crown reduction is considered when the foliage of the tree is too dense and messy. To remove part of the crown or thin it out, some larger branches may need to be removed to ultimately lighten the weight of the crown completely. Crown reductions can help not only lighten the amount of ground debris but also reduce the chances of pest infestations that could harbor in the tree’s crown and brush. Removing too much of the tree’s crown density can leave the tree looking bare or unhealthy, so it’s best to only reduce the crown when it’s absolutely needed, as recommended by professionals. The technique used for trimming trees is achieved by first assessing the state of existing tree collars, where smaller branches grow from the base tissue of dominant or larger branches. These branches are cut at an angle away from the larger branch that will be kept attached to the tree. This is done to ensure that the branches which are being trimmed or removed do not interfere with the remaining branches on the tree or lead to accidentally cutting or splitting a remaining branch. Tree pruning is the practice of clipping the ends of tree branches to promote new growth. Pruning is recommended after in between seasons to ensure that new growth can adequately form on the branches come the arrival of Spring. Pruning should be done only to remove dead or dying ends of the tree, as over-pruning can hinder new growth or discourage any growth altogether. When pruning trees, we remove weak or cracked branches that are no longer connected to dominant branches. 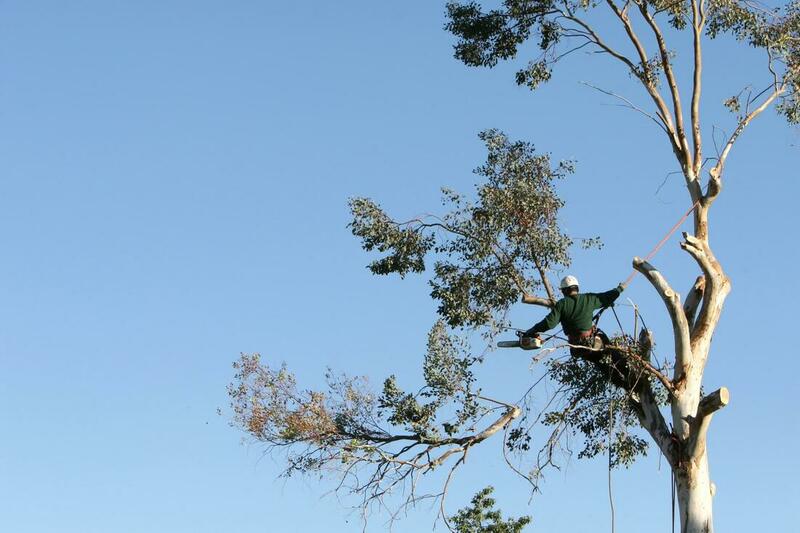 Removing too much of the branch density can result in the tree looking thin or patchy, so our experts pay close attention to the smaller branches that are removed.